HMMR Plus members receive exclusive access to eLearning courses, our Sports Science Monthly, access to our monthly roundtable, as well as all the basic membership benefits (archived articles and monthly newsletter). All this can be yours for just $15.00/month (payable on an annual basis). For the cost of a typical seminar you get fresh new content delivered to you each month. Already a basic member? Contact us to upgrade. Or having trouble signing up? Just send us an email and we can help out. The latest content delivered to your inbox, along with other recommended reads and training tips. Access to over a thousand articles on a wide range of topics from team of twenty contributing world-class coaches. See our complete roster and archives of each other here. 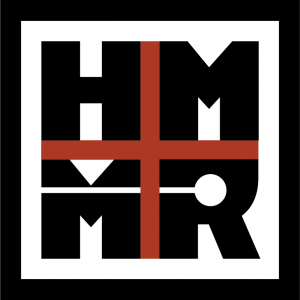 Access detailed show notes and hundreds of episodes of the HMMR Podcast and the GAINcast. Craig Pickering breaks down the latest sports science research in practical terms every month. Unlimited access to our collection video lessons, movement library, and presentations on various training topics with new content added regularly. Online meet ups to exchange ideas and meet new coaches. Sessions are recorded and stored online for access to those members that cannot attend. Logging in: By clicking the link above you can process your subscription and payment securely through PayPal. After payment, you will automatically be redirected back to this homepage and receive an email with your password. The email will be sent to the email address listed with PayPal. If this address is incorrect, please sign up using the normal process and then contact me directly. You can also contact me if you have any other problems with the subscription process or if you live in a country where the PayPal service is unavailable. Cancellation: The subscription recurs annually, but it can be cancelled or payment details can be changed at any time. To do so please log into PayPal and make the changes directly through your PayPal account. If you have friends that would enjoy the site, please encourage them to become members. The system monitors logins and will automatically block accounts if there is suspicious activity. Terms of Service: We reserve the right to cancel membership at any time, without refund, for abuse.